Women In Sport with Vitality – my new challenge! Do you remember the moment Hollie Webb smashed home her final penalty to bring home Britain’s first ever Olympic hockey gold at Rio last year? That nail-biting match was watched by a record 10 million people – many of whom (myself included), had never seen a professional hockey bout before. 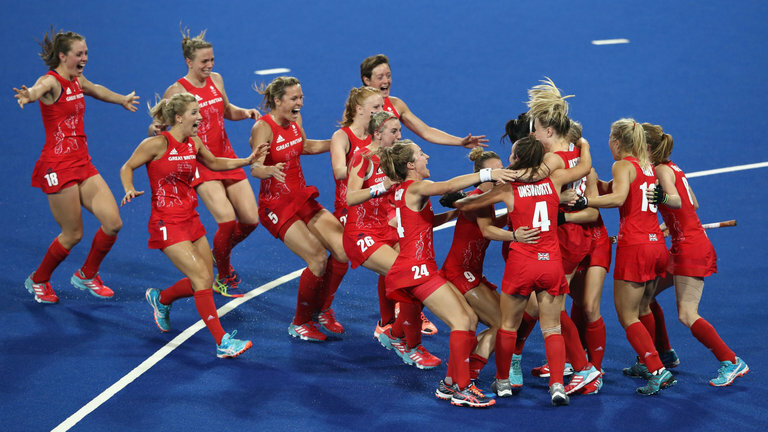 After Rio, England Hockey launched a grassroots campaign to get more people into the sport, with great success. Back To Hockey has contributed to more than 100,000 people playing on a regular basis – and I’m excited to say I’m about to add to that total, thanks to Vitality’s #WomenInSport campaign. I’m joining eight other awesome bloggers to try out a new team sport for six weeks (either hockey, rugby, netball or football) and share our journey with you. Read how I got on at my first session here. 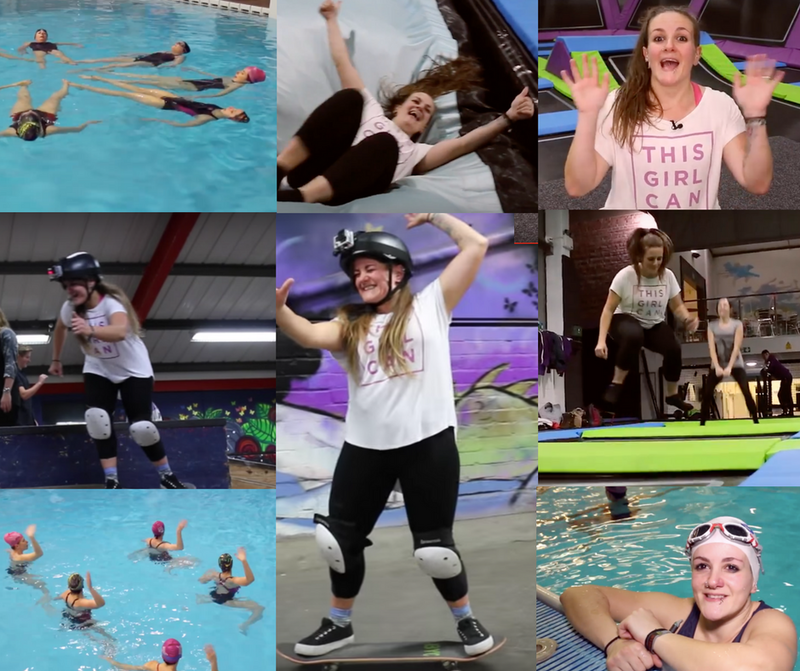 As This Girl Can Ambassador for Sussex you know I’m all about inspiring more women and girls into sport, so I’m excited to give this a go and report back! Joining a team can be scary but it can also bring an incredible sense of belonging and fun to your fitness escapades. I chose hockey as I’ve never played it before and am well overdue a new challenge. 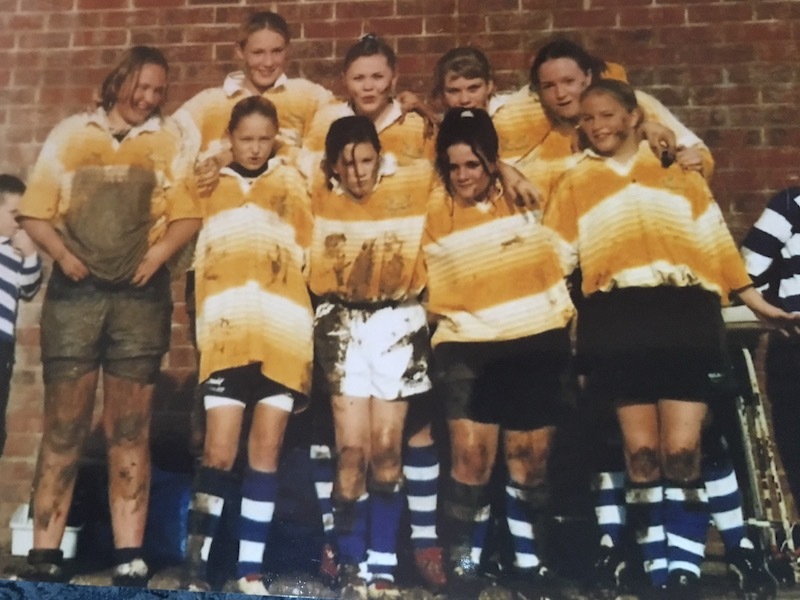 Having played rugby throughout my teenage years, for my local team Hastings & Bexhill and also for South East England in the U18 squad, hockey as a sport kind of passed me by. The rugby pitch was where I learnt the real value of team sport. Not just the pitch – but the clubhouse, changing rooms and on tour – we were in it together, as one. Being part of a team brought me more than just fitness. (Fitness which, incidentally, would’ve been 100 times better had I not been a smoker). It brought me purpose, made exercise fun, gave me friendships and taught me to push myself and be brave / badass. When I got to uni, rugby and sport in general fell off my radar, and now I’ve got a great big lump of metal in my shoulder since my very clever mountain bike fail, so it’s probably off the radar for good. But hockey though – EXCITING! And also a bit scary?! I’d never paid much attention to hockey until the Rio Olympics. I was one of those 10 million people who tuned in to watch the GB Women’s team make history. I was also one of the many who Googled my local hockey club and how to get into it – but didn’t take it any further for one reason or another. It was inspiring on so many levels to see women’s sport command such monumental mainstream interest and get the limelight it so rightly deserved. My job as a sports PR at the time allowed me to work with GB / England Hockey stars to write articles for the Commonwealth Games website, charting their journey from historic Olympic gold and looking forwards to next year’s Gold Coast Games. And now it’s my turn to actually try out the sport! Read how I got on at my first session here, and when I scored two goals in my second match here. This Wednesday I’m going to London to meet the team and get some training tips, before starting my six weeks of training with Southwick Hockey Club’s women’s team. Fancy giving team sport a go? Find your local sports team on the Vitality website. Have you played any team sport? Any tips for a hockey newbie gratefully received! Next Post What type of cyclist are you?